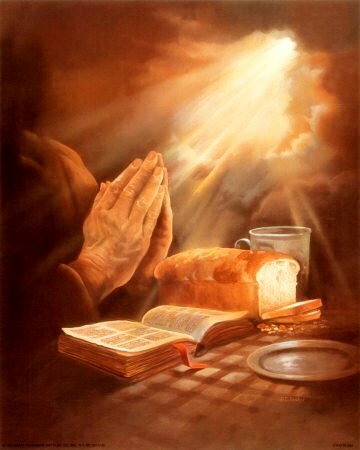 Make us, we pray, faithful stewards of your great bounty, for the provision of our necessities and the relief of all who are in need, to the glory of your Name; through Jesus Christ our Lord, who lives and reigns with you and the Holy Spirit, one God, now and for ever. Amen. We thank you for the splendor of the whole creation, for the beauty of this world, for the wonder of life, and for the mystery of love. Above all, we thank you for your Son Jesus Christ; for the truth of his Word and the example of his life; for his steadfast obedience, by which he overcame temptation;for his dying, through which he overcame death; and for his rising to life again, in which we are raised to the life of your kingdom. Praise the Lord. I will give thanks to the Lord with my whole heart, in the company of the upright, in the congregation. Great are the works of the Lord, studied by all who have pleasure in them. Full of honor and majesty is his work, and his righteousness endures for ever. He has caused his wonderful works to be remembered; the Lord is gracious and merciful. He provides food for those who fear him; he is ever mindful of his covenant. The works of his hands are faithful and just; all his precepts are trustworthy, they are established for ever and ever, to be performed with faithfulness and uprightness. He sent redemption to his people; he has commanded his covenant for ever. Holy and terrible is his name! The fear of the Lord is the beginning of wisdom; a good understanding have all those who practice it. His praise endures for ever!